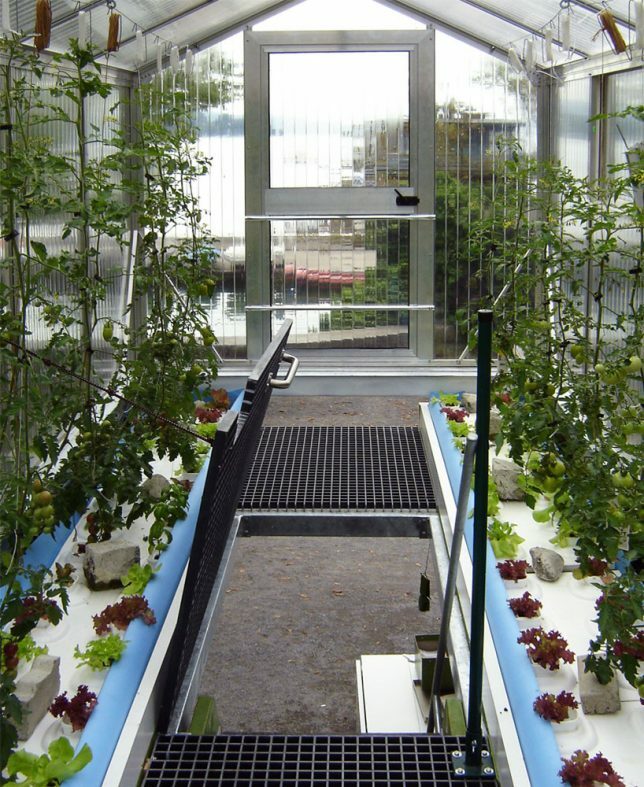 A greenhouse structure perches atop a shipping container full of planting space in this ‘Urban Farm Unit’ by Damien Chivialle, making it easy to move this aquaponic garden to any suitable location. 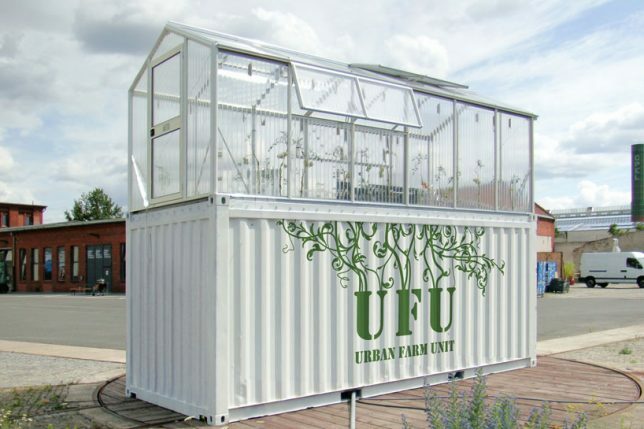 It even recovers methane from its fish tanks to power an alternate generator. 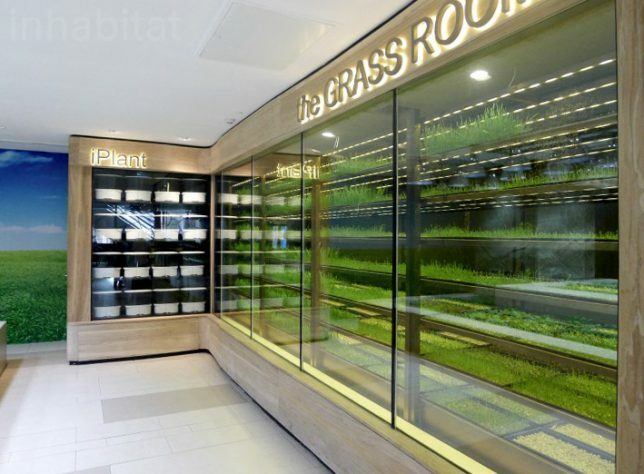 The units can be pushed together in groups to create bigger structures, or stand alone outside a market or restaurant as a source of hyper-local vegetables and herbs. 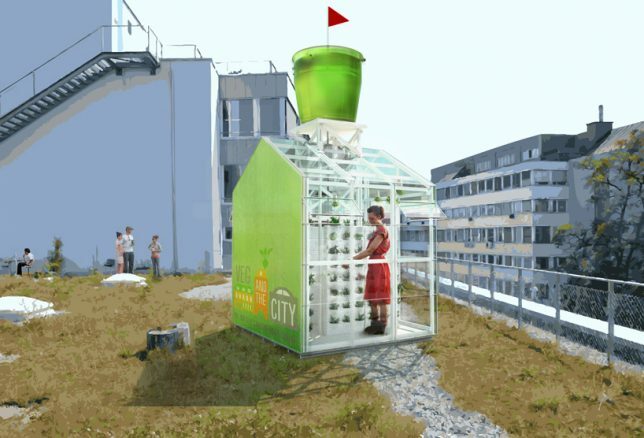 Take that concept, expand it and make it slightly more permanent and you’ve got the ‘Urban Farmers Rooftop’ in Basel, Switzerland by architect Antonio Scarponi. 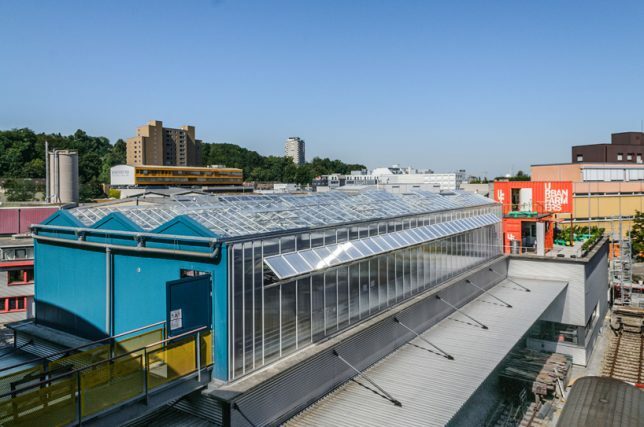 The project makes use of large, flat unused rooftops in the city, taking advantage of lax building codes in industrial areas to build up. 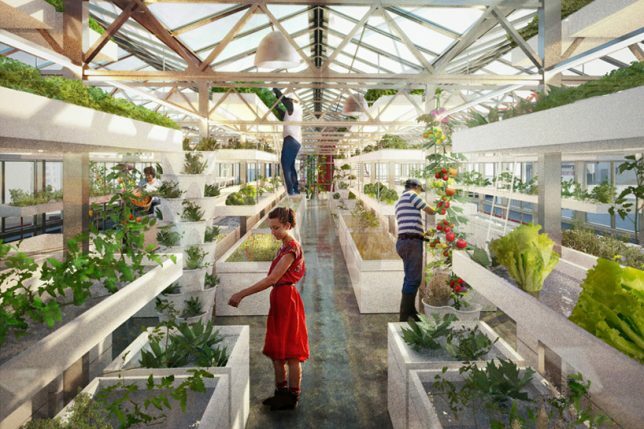 The aquaponic system is contained within two prefabricated modules: a greenhouse, and an area of stacked orange shipping containers where the offices and storage spaces are located. 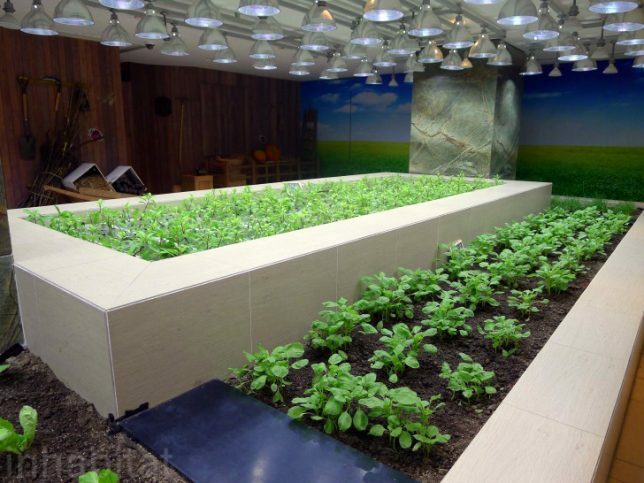 There’s one major drawback to growing food in the city: air pollution. How do you keep all those toxic fumes from contaminating the healthy food you’re trying to produce? 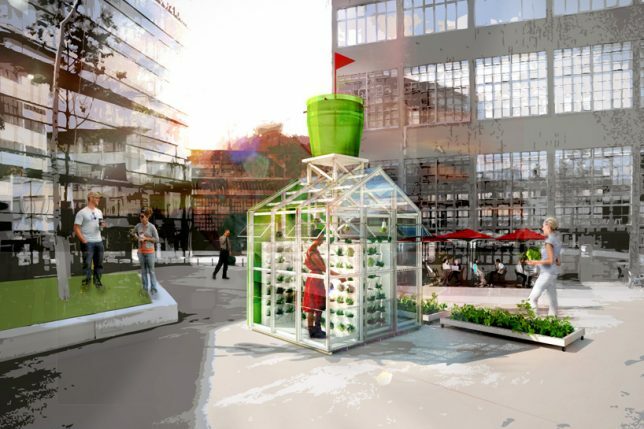 ‘Harvesting Station’ by Antonio Scarponi offers a potential solution in the form of an air-filtering greenhouse module protecting plants from animals and pollution while simultaneously harvesting its own water. 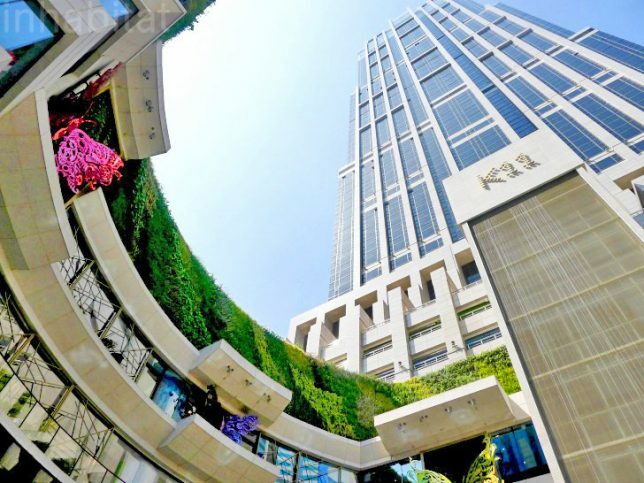 The module is designed for interstitial urban spaces, like rooftops, public squares and lots that are in transition.